For some months now, I’ve been disturbed with calls and texts asking about Federal Teachers jobs. Interested applicants want to be sure if the form is truly out or it is just a rumor of fake news. 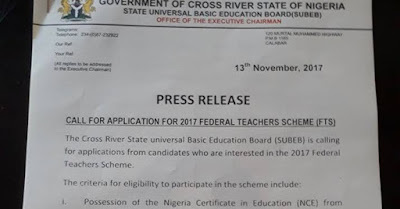 There had been several posts online claiming that the Federal government is currently accepting CV and applications from graduates (Bsc, HND, NCE, NCE) to fill available teaching spaces across the nation. I equally got a similar message from unsuspecting job seekers on WhatsApp. Below are the contents. You might have also got the same. The general public and prospective applicants should be informed that the alleged Federal Teachers Scheme jobs is fake and misleading. There is no need to go into details of why you’re hearing or seeing the news everywhere. The latest trend in Nigeria is that we’re all now news reporters with social channels available. But why do I conclude that the said recruitment is not real? 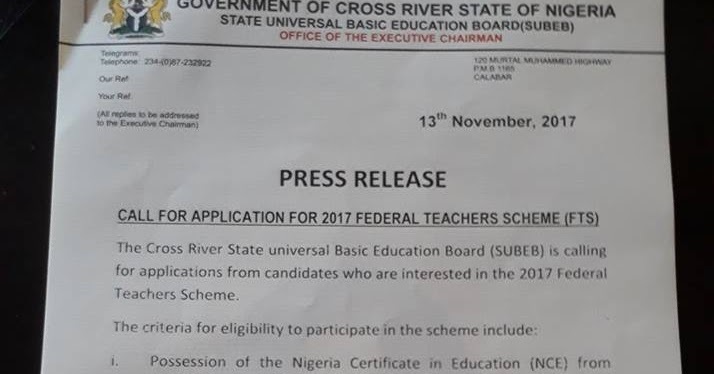 Federal Teachers Scheme truly exists but the 2019/2010 application for is not opened (at least, not yet). You can subscribe to this blog if you want to be informed when it’s officially announced. I have visited the Oyo State SUBEB to confirm this application. They claimed they’re not aware of such a thing. 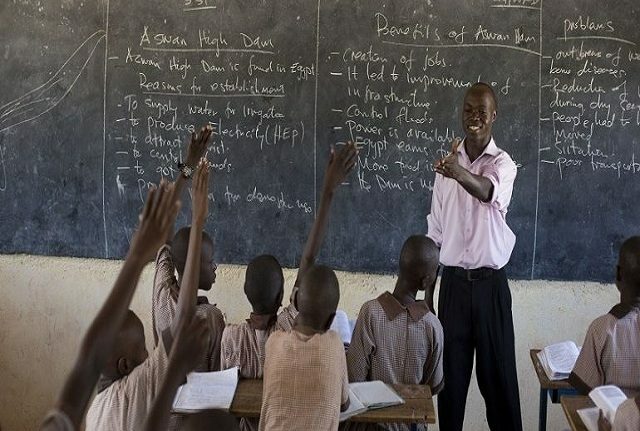 The Osun State Universal Basic Education Board (SUBEB) claimed the same. Someone equally visited Kaduna SUBEB and met the same fate. If you see any of these fake posts and you check through their contents, you will notice the same pattern of deceit. They want you to be on their blogs/websites so they can exploit you. In fact, you can’t find any link to apply. And if any is provided, you’re only taken to another page on the same blog. For your personal verification, you can visit the SUBEB office of your local government area or state, their explanation won’t be different from mine. The real recruitment of teachers announced through newspapers and radio were for Cross Rivers and Kaduna State. I’ve done my best to provide this information. I really want to guide and save people form been scammed and mislead. You can help others by sharing this post too. Use the share icons below for your convenience.